Do you need a convenient, neutral location for your deposition or meeting? Tayloe Court Reporting offers the use of its private conference room to all of its clients, local and out of state, at no additional charge. Our videoconferencing solutions allow participants to meet with your clients from multiple locations worldwide. Being able to see and hear each other from miles apart can have a significant effect on the way people do business and the success of the business. Depositions can be conducted faster and then you can move on with the rest of your day. Interviews can be conducted from a larger pool of prospects from across the country. Decisions can be made faster and deals sealed quicker. This enables you to stay ahead of your competitors. Our courteous and professional staff will help you schedule, organize and implement the long-distance video conference. We also will assist in finding a videoconferencing site close to your witness or interviewee. We have a private conference room available for use that is equipped with a state-of-the-art Polycom videoconferencing system and LCD flat panel HDTV. Additionally, we provide complimentary snacks and beverages and a helpful staff on hand to assist you with any needs. We offer traditional video conferencing services with point-to-point and multipoint connection for high quality communication between two or more state-of-the-art video conferencing systems. Our Polycom video conferencing hardware can connect to other traditional systems through secure, IP-based connection using the standard H.263 format. Our video conferencing system can provide content-sharing capabilities for sharing graphics, presentations and rich media content and can also provide built-in whiteboarding software for quick and easy collaboration. 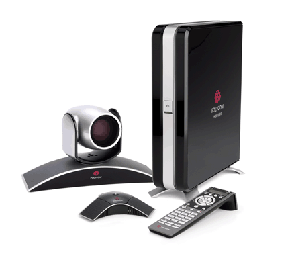 All traditional video conferences can also be recorded upon request and delivered onto a standard, playable DVD. 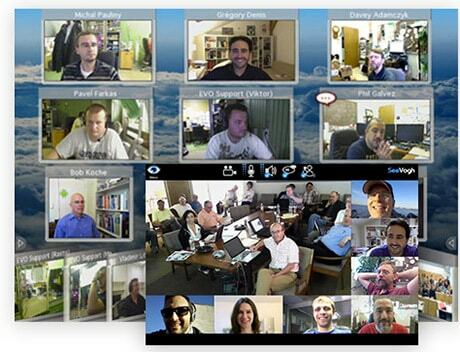 In addition to our traditional video conferencing services, we also offer cloud-based video conferencing. This allows clients to connect to video conferences from any device, whether they are connecting from a traditional IP H.263 videoconferencing system, Windows, Mac, Linux, Android or iOS mobile device. Clients can utilize the multi-user screen sharing capabilities to view and share multiple computer desktops at once. They can also customize their display features to suit their dynamic preferences. All cloud video conferences can be recorded upon request and delivered in any file format our clients require. Our cloud services are fully secure and protected, insuring privacy for your video conference without any unwanted participants. We also offer additional telephone conferencing services for participants who are unable to connect through video.